At Morelands Grill groups of friends, family or colleagues are welcomed with dedicated menu options for up to 30 people. Our restaurant for groups can also be booked privately for larger groups. Get in touch about your group today and we'll be more than happy to help accommodate your party. The perfect restaurant in Dublin City Centre for groups, we're perfectly located for any celebration. Start your celebrations with Morelands Grill before experiencing all the sites of Dublin City, or privately book our restaurant for an exquisite night with the best steakhouse in Dublin. Morelands Grill is an ideal restaurant for any celebration in the city center! Ideal for birthdays and family gatherings, with varied menu perfect for a party. 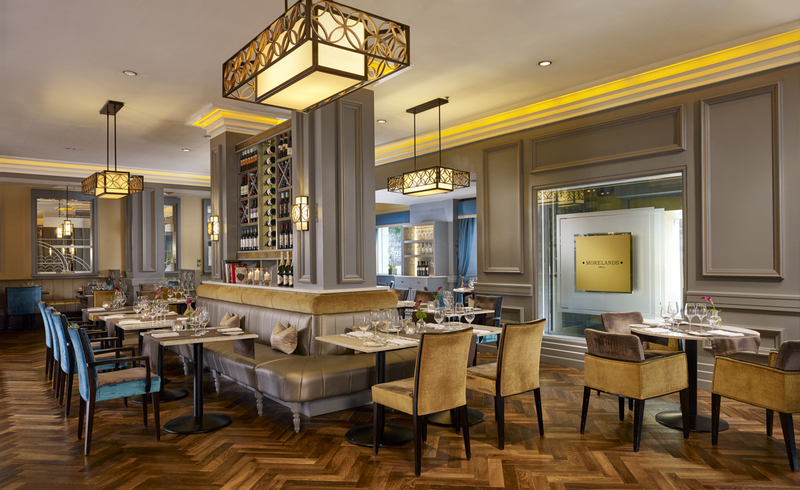 If you are looking for a Celebration Graduation Dinner, Morelands Grill is on the door step of Trinity College Dublin, close to DIT and accessible to DCU and UCD. With location on Westmoreland Street, it is the perfect city centre restaurant for any occassion. This is our new dining spot! First time here and I thoroughly enjoyed it. We had lunch with some friends and received a very friendly welcome on arrival. Attentive and thoughtful the staff were on the ball. Food was presented very well and tasted amazing. Large portions which were very filling and well worth the prices. Lovely atmosphere. Will be back here again for sure! My colleagues and I recently visited the morelands grill at the Westin hotel and opted for the €20 steak night menu which is available on Thursday evenings !it includes a steak & glass of house wine! Without doubt ,it was one of the nicest meals I’ve had in a long time!! The steak was cooked to perfection . The staff were so friendly and the service was excellent . I will most definitely return again.